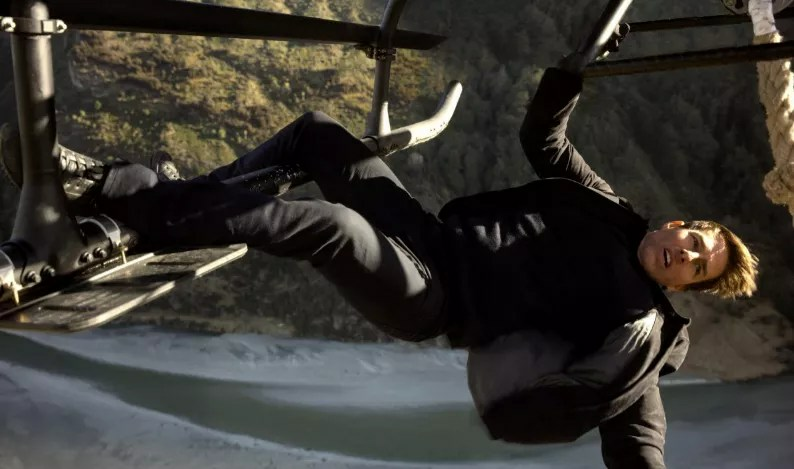 Mission: Impossible – Fallout – Any Mission Impossible movie is guaranteed to deliver nonstop heart-pounding action, but this year’s installment takes things to the next level. So much so that many critics (including me) consider this sixth film in the series to be the best one yet. It follows super-agent Ethan Hunt (Tom Cruise) as he tries to prevent a new terrorist organization from procuring three nuclear weapons. If that weren’t scary enough, keep in mind that Cruise once again did all of his own stunts — including a helmet-less motorcycle chase through Paris, dropping out of an airborne helicopter, dangling off the side of a cliff and of course his infamous jump from one London rooftop to another, which broke his ankle in real life and caused production on the film to halt for three months! The Bourne Ultimatum – Like the Mission: Impossible franchise, the Bourne films are all action-packed and you really can’t go wrong. But while I will always love the movie that started it all (The Bourne Identity) the most, there’s no doubt that the third installment doles out the thrills like no other. In it, Jason Bourne (Matt Damon), ex-CIA assassin extraordinaire, continues his quest to uncover who he really is — and not in a navel-gazey kind of way. Not only are there too many impressive stunts to name, but there’s also a lot of old-school hand-to-hand combat to keep you on the edge of your seat. Speed – If you’re a younger movie fan and have never seen this beloved 1994 hit, you need to remedy that situation ASAP. If you saw it back in the day, I think you’ll agree it’s time for a rewatch. This is the film that shot Sandra Bullock’s career into the stratosphere, remember? In it she plays a bus passenger who’s forced to take the wheel when an LAPD officer (Keanu Reeves) boards and explains that the vehicle is armed with a bomb that will detonate once the bus slows down. It’s a harrowing thrill ride — that baby carriage scene!!! — that still holds up after all these years. Fast Five – Yep, it’s another pick from another excellent action series. And again like the MI and Bourne franchises, if you’re looking to get your heart thumping, you really can’t go wrong with any of the Fast and Furious movies. But Fast Five is the best all around because it reunites all of the main characters from the previous films, adds in The Rock, and includes some of the most insane chases you’ll ever see on film. Like, oh, I don’t know, a heist that involves two Dodge Chargers dragging a bank vault through the streets of Rio de Janeiro. Whew! I feel like I’ve been to the gym just writing about these movies. That counts, right?